Ofer Amitai is CEO and co-founder of Portnox, where he is responsible for day-to-day operations and setting the company's strategic direction. He has over 20 years' experience in network security, during which time he established the first IT security team in the Israeli Air Force, managed the security division at Xpert Integrated Systems, and served as Microsoft regional director of security. Jorge Alago is cybersecurity architecture lead at Veristor and an expert in implementing secure network environments. Veristor is a provider of business technology solutions that helps customers accelerate the time-to-value and security of the software, infrastructure, and systems they deploy. Ehud Amiri is senior director for product management at OneLogin. Ehud is passionate about making the world safer by embracing new ways to trust people, devices and applications to ensure security becomes both effective and frictionless. Prior to joining OneLogin, Ehud served in various product management and engineering roles at CA Technologies, Netegrity, and Business Layers. Marija Atanasova is the Sr. Content Strategist for the IT Security community at BrightTALK. She cares about privacy in her free time, especially how her data is collected, stored, and who has access to it. Kunal is the co-founder and CTO of Prevoty, a next-generation application security platform. Prior to that, he was the Director of Technology at the BBC Worldwide, overseeing engineering and operations across the company’s global Digital Entertainment and Gaming initiatives. Kunal also has several years of experience leading security, data and engineering at Gravity, MySpace and NASA’s Jet Propulsion Laboratory. His work has been featured in Wired Magazine and Fast Company. He continues to develop the patented security technologies that power Prevoty’s core products. Kunal received a B.S. from Babson College. Prevoty’s co-founder and CTO Kunal Anand, ITSPmagazine Editor-in-Chief Sean Martin, Michigan State University CIO Rob McCurdy, New York Life CVP Nate Smolenski and Andy Wickersham, an AppSec leader at a Fortune 100 company, all took part in the discussion. Equifax got breached - half of America's consumers have had their personal accessed without proper authorization. We don't know a lot yet and we'll continue to learn more over the coming days, weeks, and months. However, as the story unfolds, Prevoty's Kunal Anand suggests that both industry and organizations alike avoid pointing fingers; it could happen to any of us. This is not the time to dog pile on another breach story; rather it's a time to reflect and learn. Listen to Sean Martin's full interview with Kunal as the two explore what could have happened and just how big the impact might be. 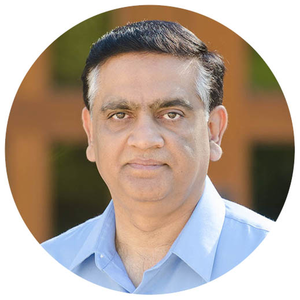 Sajid Awan is vice president of worldwide operations at Veriflow and brings more than 20 years of experience in product management, systems engineering and operations in the areas of networking, cloud computing, security and information technology. Awan holds a Master’s degree in Electrical Engineering from Purdue University and is a Cisco Certified Internetwork Expert (CCIE). Phil Agcaoili is the CISO of Elavon and Senior Vice President at US Bank. He's the former CISO of Cox Communications, VeriSign and SecureIT, and helped transform security at GE, Alcatel, Scientific-Atlanta, Cisco and Dell. He’s a change agent, mentor, and innovator, trusted to keep the largest brands safe by establishing and maturing reasonable and defensible security practices. His teams are recognized for their achievements and teamwork, and many of his leaders lead other global teams. Mike Ahmadi is the Global Director of Critical Systems Security for Synopsys Software Integrity Group. He serves on the technical steering committee for the ISA Security Compliance Institute, which manages and maintains the ISASecure certification program, and chairs the SAE TEVEES18A1 Cybersecurity Assurance Testing Task Force, whose goal is to create a consistent set of cybersecurity testing requirements for “connected” automotive vehicles and associated systems. Mike also serves as a U.S. expert for IEC TC65 Working Group 10 in developing the IEC 62443 series of Industrial Process Control cybersecurity standards, is an active member of the U.S. Department of Homeland Security Industrial Control Systems Joint Working Group, and is part of the advisory board for the U.S. Secret Service Electronic Crimes Task Force. Kate Adam is Head of Product Marketing at E8 Security, a leader in behavioral analytics. She has experience in network, endpoint, and web application security. Prior to joining E8 Security, Kate worked on threat prevention technologies at Palo Alto Networks, and spent several years at WhiteHat Security, where she led a team of web application security experts in dynamic and static analysis testing. Kate is a graduate of San Jose State University’s School of Journalism & Mass Communications. Danelle is Vice president of Marketing at SafeBreach. She has more than 15 years of experience bringing new technologies to market. Prior to SafeBreach, Danelle led strategy and marketing at Adallom, a cloud security company acquired by Microsoft. Prior to Adallom, Danelle drove security solutions for critical IT initiatives like virtualization, network segmentation and mobility at Palo Alto Networks. Danelle was co-founder of a high-speed networking chipset startup, co-author of an IP Communications Book and holds 2 U.S. Patents. She is a frequent speaker at conferences, and writes a column for a variety of publications. How Would an Assistant Groundskeeper Win a Cyberwar? The only way to close the gap between the current state of IT security and the capabilities of the enemy is to outflank them; to beat them at their own game. In this Experts Corner, Danelle Au shares he thoughts on how to think and look like the enemy during cyberware games. Carolyn April is Senior Director of Industry Analysis at CompTIA, a non-profit association tasked with conducting primary research on all aspects of the IT industry. She has served as an analyst and editor covering the IT channel at such publications as Channel Insider, VARBusiness, and Redmond Magazine, and is a regular featured speaker at industry events, presenting research and analysis in addition to moderating expert panels. She is a graduate of the Medill School of Journalism at Northwestern University in Evanston, Illinois, where she earned a bachelor's and master's degree in journalism. Candy has received numerous awards and recognitions, including that of Distinguished Fellow of the ISSA, ranking her as one of the top 1% in the association, and was inducted into the ISSA Hall of Fame. As a leader in the cyber security profession, she is often a featured speaker at security events, including the most memorable to date; the IT Security Symposium at the United Nations in New York and was also invited to the Offices of President of the United States. 30-year InfoSec veteran and cybersecurity consultant Candy Alexander shares the two pieces of advice that have come back to her time and time again from her vast experience at ISSA, Symantec, a featured speaker for the IT Security Symposium at the United Nations, and a speaker at the Offices of the White House. Let’s face it, in the CyberSecurity profession, we like to learn things the hard way. But, if we look at the whole picture and ask "why" every now and then, things just might get a little easier. Albright’s career in the public sector began 25 years ago for the City of New York, Department of Corrections and Probation. There he also worked as a probation officer, and he was promoted to Intelligence Field Service Unit Warrant officer. He was later appointed Branch Chief and Executive Director of the Citywide Alternative to Detention Day Treatment Programs for court-appointed juvenile youths. In his last role in Government, Albright served as the First Deputy Commissioner of Administration and Intelligence. For four years he served as the agency’s CIO, responsible for ensuring that the department’s Information Technology (IT) investments were aligned with its strategic business objectives. Albright took a leadership role in the design of world-class, integrated solutions, processes and architecture, and demonstrated to be expert in the design and delivery of cost-effective, high-performance technology solutions with budget responsibilities. He’s built culturally diverse, team-centered operating units, with excellent business process, strategy development skills and customer-centric. Today, Albright is Vice President at Abilis Solutions, responsible for Professional Services, Mobility and Business Intelligence. Expert in Cyber Security and Business Intelligence, he provides for Alibis clients: C-level hands-on solution development, support implementation and optimization of the core business intelligence system. Albright received his BS in Criminal Law and Computer Science at Lincoln University in Penn., and then studied at Harvard University’s JFK School of Government, and is now pursuing a Masters of Cybersecurity and Criminal Justice with a strong concentration on Business Intelligence at Boston University.